The minister for Information Communication and Technology (ICT) Dr. Ruhakana Rugunda has expressed concern over messages not solicited for, that telecom companies send to mobile phone users. "There is nothing irritating like these messages because one should not bombard my phone with such unsolicited messages," Rugunda said. He said it was right for some phone users to take such companies to court. 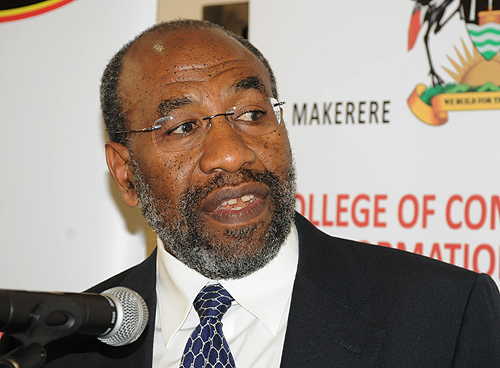 Rugunda however said he has asked the Uganda Communications Commission (UCC) to take up measures against such telecommunication companies. Rugunda was addressing journalists in Margarita hotel in Kasese municipality, Kasese district. Journalists had asked the minister why government has failed to penalize telecommunication companies which have continued to send unnecessary messages to customers' phones. Bob Lyaza an official from UCC said UCC is also concerned with unsolicited messages which phone users get, adding that they have started engaging such companies to ensure they regulate the messages. Rugunda cautioned phone users to make good use of them for social and economic benefits other than using them in non-gainful talk. Rugunda further called for adoption of technology in health facilities as a measure to address the shortages of skilled staff, saying with the installation of modern technology, a doctor can be able to consult his fellow medical professionals in international hospitals. "When a doctor is stranded with a patient in a remote area where he cannot refer a patient, he can reach a consultant via ICT facilities," Rugunda noted after touring Bwera hospital where some ICT facilities have been installed. He explained that benefits of ICT in health services delivery include interlinking all district health officers, Government major hospitals, ministry of health headquarters, access to ministry of health website, e-continued medical education and access to online medical journals.